Got five? 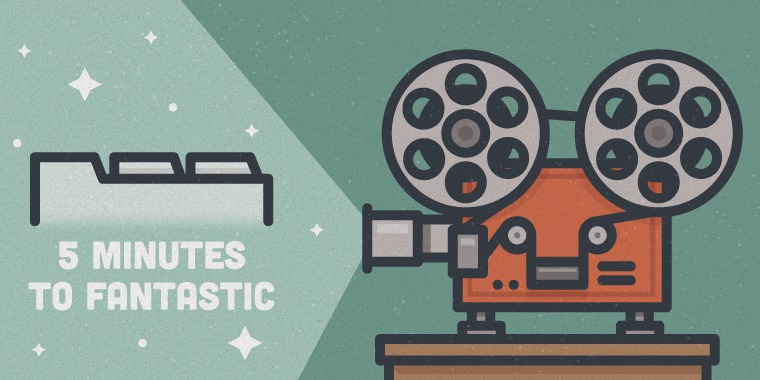 This week I’ll be sharing five, five-minute videos that showcase what you can do in Storyline in five minutes or less. You’ll see how Storyline’s simple, intuitive workflow makes it easy to create amazing interactions—fast. 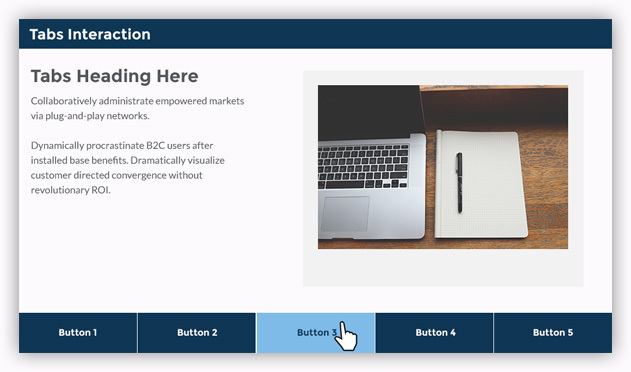 I can’t wait to show you how quick and easy it is to create great stuff with Storyline. First up, a tabs interaction. Tabs interactions are a great way to organize content so learners can explore related material without leaving the current slide. In this video tutorial, I’ll show you how to build an engaging tabs interaction in—you guessed it!—less than five minutes. You can also download the final template from our Downloads Gallery. Stay tuned to E-Learning Heroes for all the latest videos, and follow along on Twitter with #5tastic. Love the #5tastic idea! I see a cool eLearning challenge there! Okay I like where you're going with that. What did you have in mind? The challenge would be to create a max. 5 minute screencast/e-learning module/blog post explaining... a topic of choice? or something specific if you want to make it easier for people that have a hard time deciding Here's an example: https://youtu.be/uIa6EqyoS2Y #5tastic! Clear, concise and simple. Thanks. Very cool menu, Michael! I am going to base an upcoming challenge around the #5tastic theme. Thanks for helping keep the 5-minute learning going. Great work David; I'm going to have my students do these right at the beginning of the ID course, just before SL is introduced in week 3... Would you mind if I linked to The Tome? Link away, my friend! I always appreciate hearing how you share ELH community resources with your students! Hope all is going well.